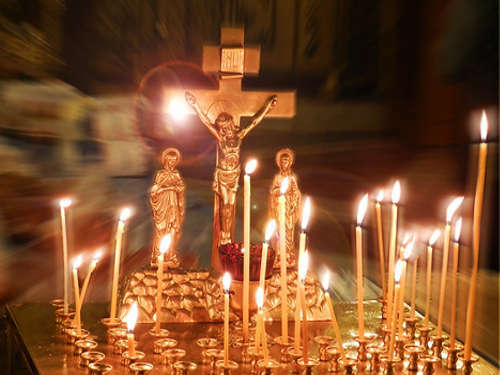 On the first Sunday of Lent, Orthodox Christians throughout the world prayerfully celebrate the holiday, called the Triumph of Orthodoxy. This day has a special meaning for the whole Christian church, and every believer needs to know about the history and peculiarities of the holiday. For the first time, the feast of the Feast of Orthodoxy took place in the 9th century: the Orthodox Queen Theodora established a prayer celebration in honor of the final victory of the church over the iconoclast heretics. From the 8th to the 9th century, the teaching of the church, based on raising prayers before the images of Jesus Christ, the Virgin Mary, the holy apostles and angels, was subjected to cruel persecution: the priests were subjected to imprisonment and the death penalty, the usual order was destroyed. However, the ministers of the church did not surrender, and at the end of the 9th century, the Holy images, destroyed for over a hundred years, were fully established as the only faithful and solemnly returned to the temples. The priests who fought the heresy were released and reinstated in their posts at the church. This day got its name from the lips of the Patriarch of Constantinople Methodius: during the festive sermon, he called the first Sunday of Great Lent the triumph of Orthodoxy over heresy and heretics. The name is fixed, and at the moment the holiday of the Celebration of Orthodoxy is annually celebrated by all Christians. do not recognize the icons and allowed themselves to outrage over them. posthumously by the decision of the church.